ARLINGTON, VA, July 2, 2012 – PBS KIDS today announced the release of “PBS KIDS ROCKS!” – its first music album featuring 15 new songs from Grammy Award winners Ozomatli and They Might Be Giants, The Weepies and Parent’s Choice Gold Award-winning music sensation SteveSongs, known as Mr. Steve, cohost of the PBS KIDS preschool destination. Each of the songs is designed to help kids learn about a variety of topics to bolster their reading and STEM (science, technology, engineering, and math) skills. Song themes range from pronouns to camouflage to opposable thumbs. Tunes from the album, set to relevant clips from THE CAT IN THE HAT KNOWS A LOT ABOUT THAT!, CURIOUS GEORGE, DINOSAUR TRAIN, and SUPER WHY and original animation from KARPTOONS, a boutique design and animation studio, also air during the preschool programming block weekdays on PBS KIDS. Opposable Thumbs, Pronouns, Navigation, Nocturnal, Diurnal and Gravity Always Brings Me Down are also available on PBSKIDS.org and the PBS YouTube channel. Available on Amazon.com and iTunes, the proceeds from “PBS KIDS ROCKS!” will support PBS KIDS educational programming. 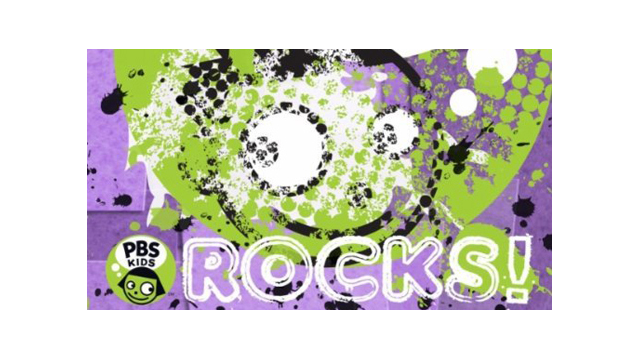 “PBS KIDS ROCKS!” is part of PBS KIDS’ ongoing commitment to providing educational content for kids wherever they live, learn and play - on TV, online, on mobile devices, in the classroom, and through a new line of educational toys and music. Ozomatli In their fifteen years together as a band, celebrated Los Angeles culture-mashers Ozomatli have gone from being hometown heroes to being named U.S. State Department Cultural Ambassadors. Ozomatli has always juggled two key identities. They are the voice of their city and they are citizens of the world. Their music — a notorious urban-Latino-and-beyond collision of hip hop and salsa, dancehall and cumbia, samba and funk, merengue and comparsa, East LA R&B and New Orleans second line, Jamaican ragga and Indian raga— has long followed a key mantra: it will take you around the world by taking you around L.A. Ozomatli has won four Grammy Awards. The Weepies Indie duo The Weepies have sold more than a million singles and half a million albums; their simple, direct songwriting has sent them to the top of the folk charts in a dozen countries. Deb Talan and Steve Tannen began writing together the night they first met and soon formed The Weepies. SteveSongs Steve Roslonek of SteveSongs has been writing and performing his award-winning music for kids and families for the past twelve years. Steve blends participatory songs, clever stories and great melodies to create what the Boston Globe called "not just a musical journey but an entertaining, interactive and educational one." He’s won numerous prestigious awards, including 2 Parents’ Choice Gold Awards, a Nappa Honor, 2 iParenting Media Awards, and 2 Children’s Music Web Awards. About PBS KIDS PBS KIDS, the number one educational media brand for kids, offers all children the opportunity to explore new ideas and new worlds through television, online and community-based programs. For more information on specific PBS KIDS programs supporting literacy, science, math and more, visit PBS.org/pressroom, or follow PBS KIDS on Twitter and Facebook.